For years, Honda has teased us with glimpses of the Civic Type R ripping around on foreign soil; a 4-piston piece of Japanese engineered agility and hi-revving revelry with zero interest in sitting on American sales floors. But then, much to the delight of hot hatch fanatics and devout Honda-heads, the company changed gears and began selling it here in the states. But the R-rated version of the 10th generation Civic is not a car for even devout Honda fans, because even with its outstanding performance and practicality perks, is just as aesthetically egregious as it is acutely well-engineered. Some of us (like your truly over here) are sedan fans. People who are devoutly dedicated to a design based primarily upon layout and looks, who recognize the hatchback’s undeniable versatility, yet still insist upon owning a car with a trunk. Some of us prefer performance over efficiency too, making cars like the particular Honda Accord seen here such a tempting alternative. Years back, when the TSX as we knew it was in the throws of being referred to as America’s “Best Sports Sedan” by the likes of Car and Driver for the second straight year, the Japanese were being offered an even better version. Code named the Accord Euro R, this rebadged JDM jewel of a TSX was exactly what one might think of when the words “Honda Performance” comes to mind. With its tastefully track-focused aero, revised engine and ECU, exclusive interior packaging, and sportier suspension and exhaust, this tightly-wound manual of a sedan was without question the refined older brother to the tenacious little Civic Type R.
Sadly, long gone are both the days of the Euro R and the TSX, and sitting in their place atop the affordable mid-size sedan heap sits the Accord Sport, a model we’ve known and loved for years, but now with a turbocharged spin and an entirely new generation of engineering underneath. Offered with both a manual gearbox and sportier suspension, this particular variant is a a different beast than the virile V6 Accord Sport of yesteryear. Tighter, lighter, roomier, safer, sportier, and more tech friendly than ever before, the blunt-nosed blue beauty pictured here is so frustratingly close to being brilliant you can almost taste it. While I will try not to draw too many comparisons between the Accord Sport and the Civic Type R from the week prior, the 2.0T and its lust for being R-rated needs to be addressed. 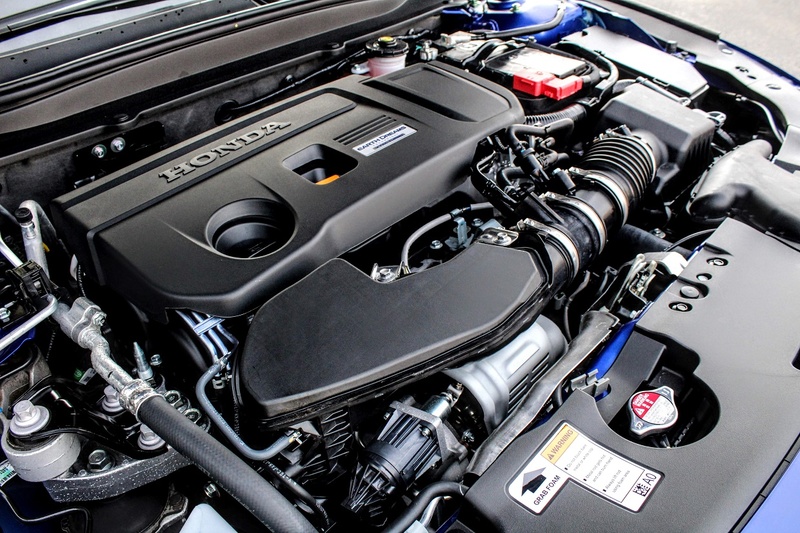 De-tuned for refinement and efficiency, the 2.0-liter upgrade option in the Accord Sport dumps the turbocharged 1.5-liter base engine and replaces it with 273 pound-feet of torque and 252 horsepower. 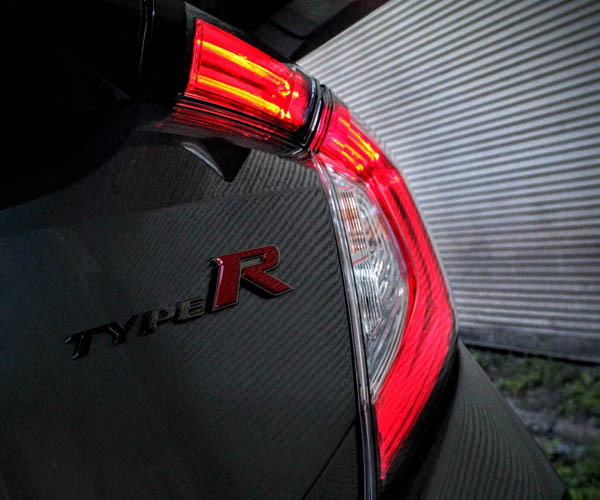 While the Type R does offer 54 more ponies up front, with 22 extra pounds of pull down low, the driving satisfaction one gets from this virtually lag-free sedan is still stellar to say the least. It may not cause you to reconsider automotive performance as you know it, but due to the way in which torque builds from 1500 to 4000 rpm, it’s hard to not admire the potential contained within this 6800 rpm revving Earth Dreams motor. 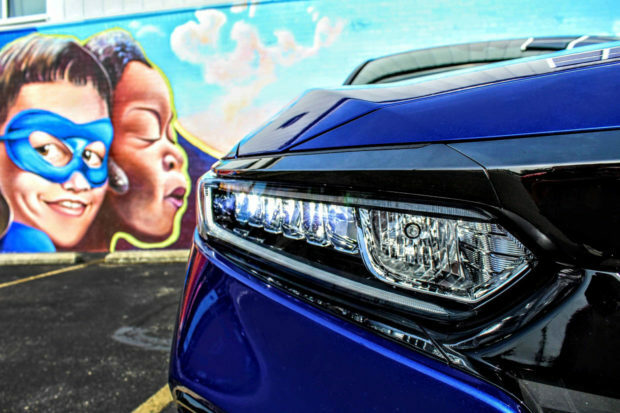 Add bolt-ons like a larger intercooler, lessen restriction on both exhaust and air intake alike, then crack the ECU and give it a reflash, and chances are the softer side of the Accord Sport’s 2.0-liter would firm-up to Euro R status almost instantly. 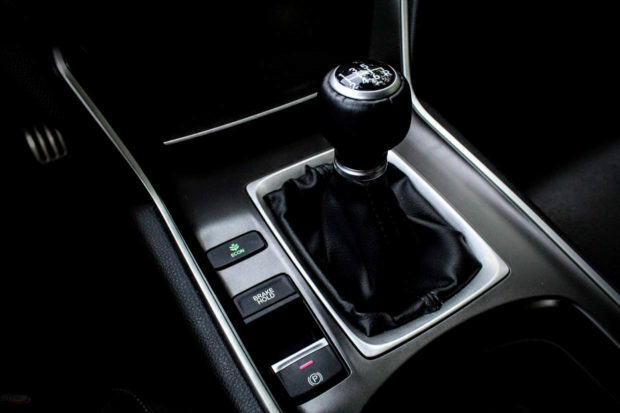 Moving over to the third pedal buried beneath the dash and the stick shift stuffed within the center console, you get more of the same Honda engineering smarts, but with just as many of the soft notes that make the de-tuned 2.0-liter motor feel like it is just aching to be unleashed. Although throws may be easily obtained and gearing feels tightly gated for fun shifts, the softness within the clutch itself and its vague bite-point are not nearly sporty enough to constitute a “Sport” badge out back in my book, especially since the majority of the same Type R roots are resting right beneath the surface. Swap in the R’s clutch, ECM computer programming, anti-torque steer suspension tweaks, Honda’s signature machined shift knob, along with a short-throw shifter, and the weakest mechanical portion of the latest Accord Sport in my eyes suddenly turns into arguably its greatest selling point. 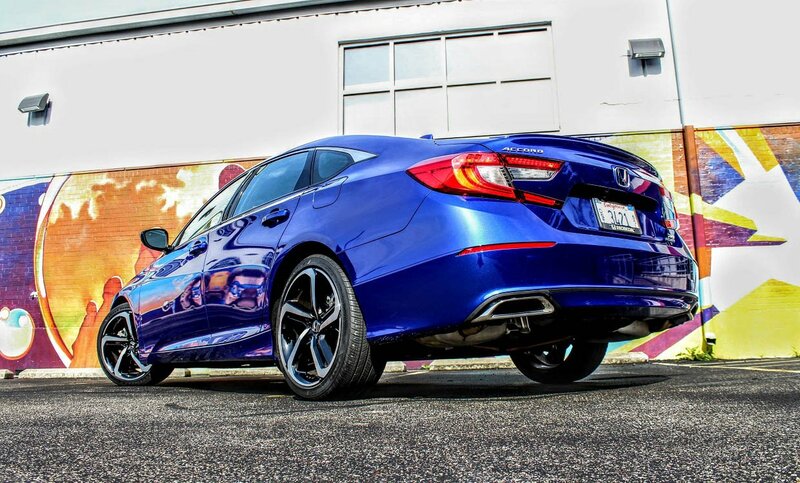 Traveling firmly over speed bumps with just enough give, while still tracking into corners with enough even-keeled agility and steering feedback to inspire confidence, the Accord Sport is tighter than ever before without being punishing to passengers. Although a firmer and lower set of Euro R springs with revalved dampers would certainly be appreciated, it is the tire and wheel combo on this car that causes me the most concern. On a vehicle that appears far larger than the Civic Type R (more than a foot of additional length to be exact), things begin to look a bit silly when wheels that are a full inch smaller than the 20’s found on the hot hatch are implemented. 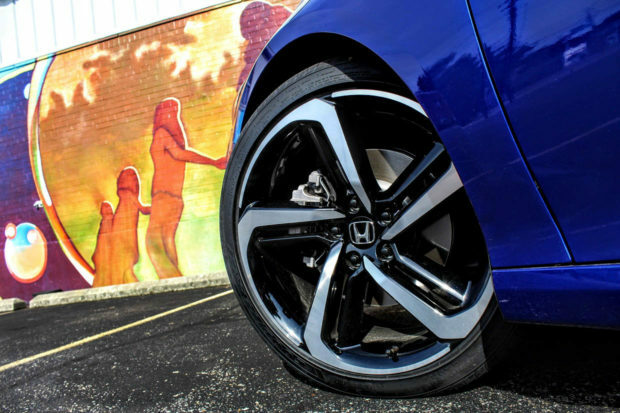 Although these “vortex” 19-inch alloys may come in a respectable 8.5-inch width, they also aren’t what many might consider performance designed when compared to the sportier options being offered by the likes of Volkswagen and Mazda. 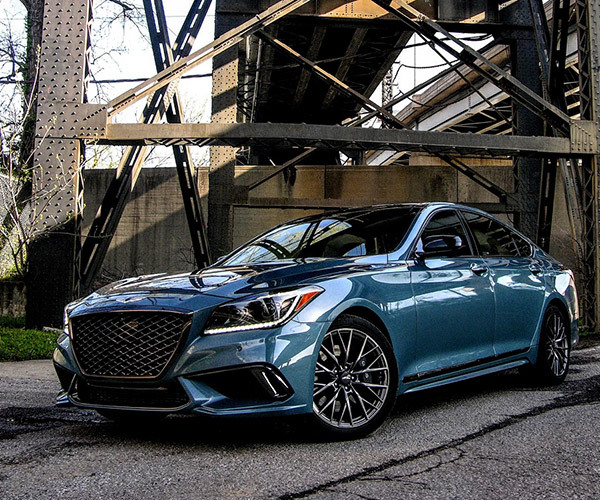 Throw in the fact that the Sport’s all-season Goodyear rubber makes a fair deal of noise at low and high speed due to the combo of a harder compound and a thin sidewall, and you get more of the same PG-13 rated frustration that makes this sedan so close to being brilliant. Where the Accord Sport bests the Civic Type R is in its cabin refinement and the quality of materials used therein. 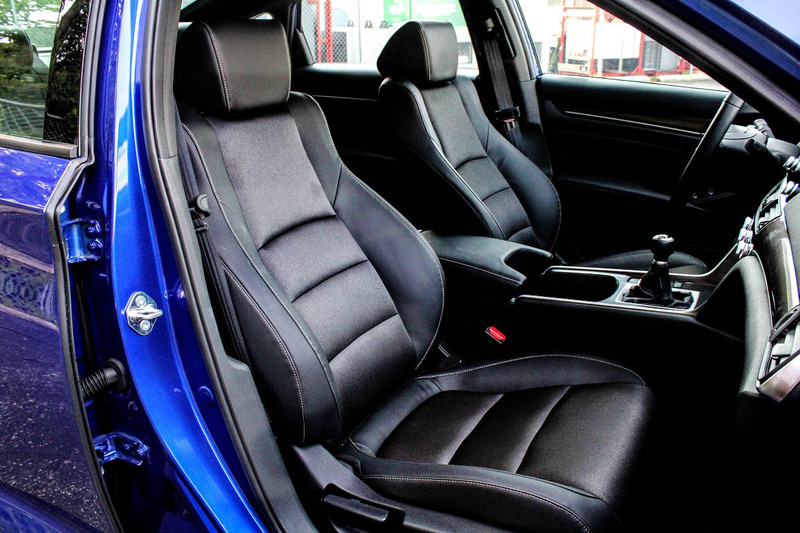 Nothing against those magnificent Honda-engineered and assembled seats in the Type R, but the Accord does have much nicer hard plastic materials and just seems more tightly put together in regard to fit and finish overall. There also isn’t a spot of faux carbon to be seen, nor are there any outrageously mandatory red accents to try and ignore. 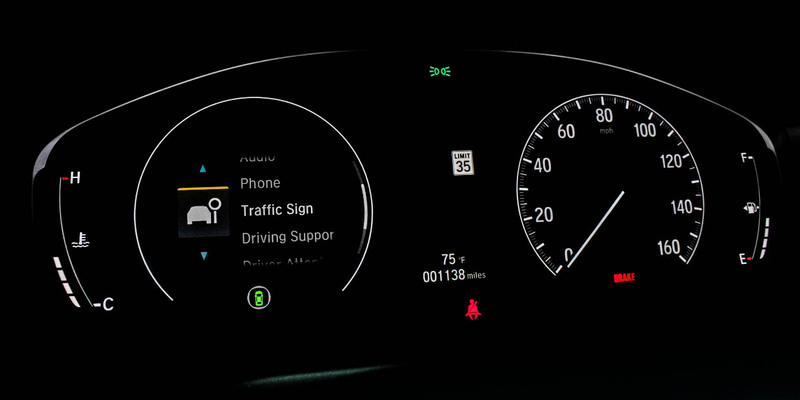 It’s the sort of smart, clean, well thought-out interior one expects from both Honda and the Accord family, a vehicle packed with the latest HondaLink tech connectivity, and ten billion types of storage. And f for whatever reason storage smarts and tech don’t pique your interest, note how this car has both a sunglasses holder, and physical audio and tuning knobs, whereas the Type R has neither. Rolling back around to what truly works on the Accord 2.0T Sport, is the value of what you get for your money. Although the larger turbocharged engine may set you back a sizable $2,000-4,500 based upon which trim you desire, the option to get a manual or an auto remains free of charge, making the exclusivity of a stick shift in the Sport that much more appealing. Sport buyers also get a barrage of higher-end amenities, including exclusive and stylish aero upgrades, automatic headlamps and LED fogs, smart entry with walk-away auto locks, a power moonroof, heated mirrors and front seats, push-button start, dual-zone climate control, an electronic e-brake, digital driver displays, and some slick aluminum race pedals. Android and Apple friendly, with the latest HondaLink connectivity and vehicle monitoring stats, the upgraded 8-inch touchscreen is a far quicker and more well-rounded approach to tech packaging than what we experienced in the Type R, adding one more reason to consider this model over others. 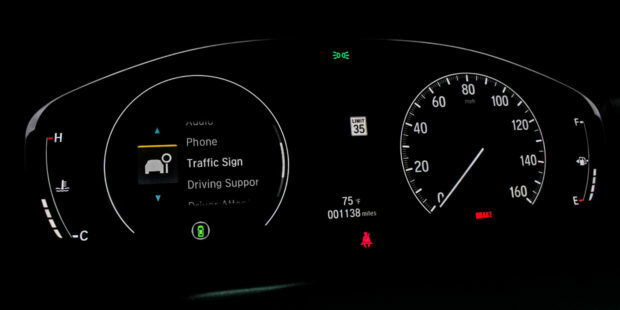 Blended with safety suite perks like Honda’s Blind Spot Information System (BSI), a multi-view rear camera, cross traffic alerts, driver attention monitoring, LED running lights, adaptive cruise control, automatic braking, lane keep assist, and road departure mitigation (just to name a few), and the $30,000 price tag affixed to this 2.0T version of the Accord Sport suddenly starts to look pretty damn reasonable. Sprinkle in more rear seat space than a Lay-Z-Boy sofa, a trunk the size of lower Manhattan, high-end buttons and controls in all the right places, and the Accord’s practical packaging looks and feels grades above what one might expect at face value. 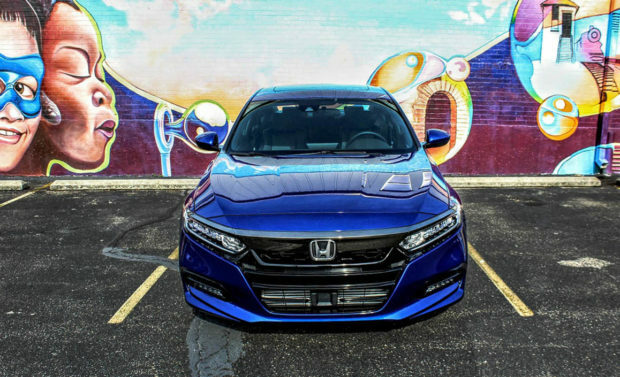 Naturally, if Honda were to release a Euro R model, the only things you might see change internally are the coloring of the stitching and piping along the seats, shift knob, and leather steering wheel, Euro R branded floor mats and headrests, and perhaps even a plaque near the shifter to designate which production number you were piloting. So should Honda hop through the appropriate hoops and turn the 2.0T Sport version of the Accord into a full-blown Euro R model? Sadly, the answer is no. We’ve long loved the Accord for what it has offered, but it would not be worth the up-front investment for the brand to build an R version. Pigeonholed within a stagnant sedan market that shows little sign of accelerating, it’s a shock to see that a manual gearbox and sporty tuning are even a consideration in an Accord these days. So thank you a hundred times over for making this car happen in the first place, Honda. 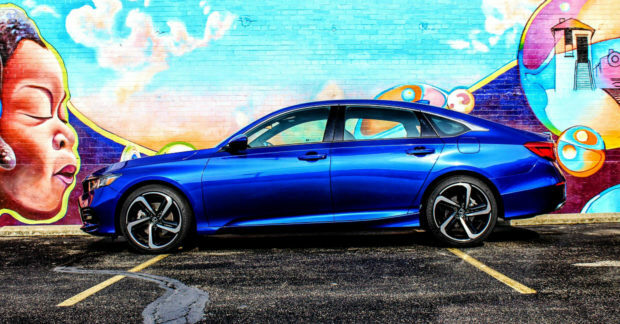 In an increasingly autonomous world it’s a breath of fresh air to find an affordable, versatile, reliable sedan with a manual gearbox and just enough performance upgrades to justify the Sport badge glued to its stern. Prolific praise aside, there is a single thought that causes me to argue for the resurrection of the Accord Euro R. The sort of person looking for a performance version of the Accord with a stick-shift is a very particular sort of buyer, something that gives cause for one to wonder how many people would opt for an Accord Euro R over a Civic Type R. With everything swapped over, chances are Honda could offer shoppers a fantastic sedan alternative that only weighs 126 pounds more, all for around the same price. This would give dedicated performance fans a Honda that looks refined enough to warrant consideration, while simultaneously sending what could be the last manual Accord in existence off into the sunset with an appropriate farewell.